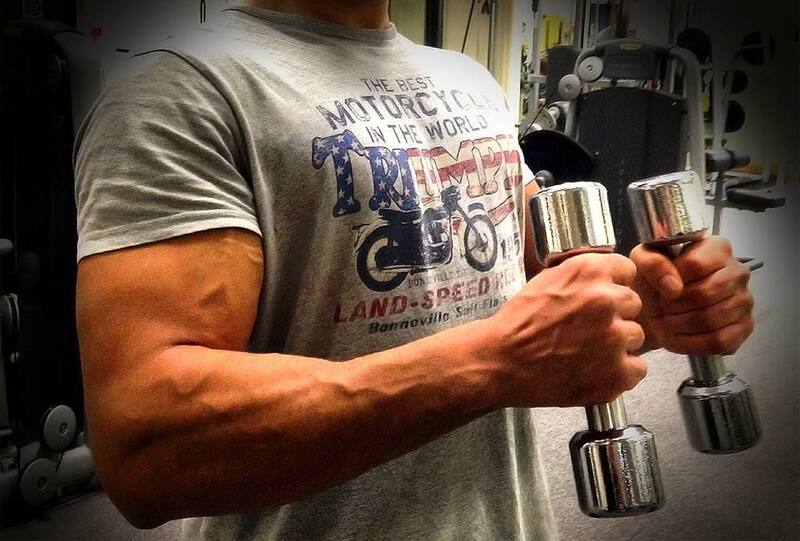 You don’t have to always lift huge weights to pack on muscle mass! Understanding tempo and tension has been a key factor in allowing us to build more size without having to resort to lifting hugely heavy weights and risking injury. Remember! The minute you get injured you can’t make any gains! Ego lifting is all too common in gyms today — you know who we’re talking about! Those guys (it is mainly you, guys, although both genders can be guilty of this) swinging an oversized pair of dumbbells in some vague representation of a biceps curl… or a front raise, or a bent over row – who knows what it was supposed to be! What makes ego lifting tragic is that everybody is either too busy focusing on themselves or laughing at your form to be impressed by the big weight you’re ‘lifting’. We’ve been guilty of ego lifting it in the past and it’s not a fond memory! There is a time and a place for lifting heavy – we’re not saying you shouldn’t do it, but we want to encourage you to explore the worlds of tempo and tension, especially when training high volume, i.e. lots of reps (15+ reps per set). Note: If you’re not sure what volume means in terms of training then give this article a quick read. Arnold Schwarzenegger once famously said that he could get more growth from just one of his sets than most people could get from an entire workout. After being shown how to use tempo and tension correctly by the expert coaches at M10 Fitness I don’t doubt Arnold’s claim — I was ready to pass out after about 2 sets of quad training! So what do we mean by Tempo and Tension? TEMPO means the speed at which you raise, pause and lower the weights. 4: lower the weight for 4 seconds. 1: hold the bottom position for 1 second. 2: lift the weight for 2 seconds. 0: Start lowering the weight again without any pause. A lot of people just stick to lifting the weight as fast as possible as this is the easiest way to do it, meaning you can lift the most weight. Lifting the most weight can be useful if you’re aiming to build strength (operating in the low rep ranges of 1-5 reps). However, if you’re doing 8+ reps then you’re not focusing on strength, you’re focusing on hypertrophy (aka muscle-building). In this case, using less weight and a slower tempo can allow you to really make sure you’re contracting the correct muscles. Only by fully contracting the correct muscle will you be able to achieve maximum growth. TENSION is about keeping the correct muscle working at all times through the lift. It’s all to easy to swing the weight up and let it fall to the starting position before lifting it again. This only requires the muscle to be under tension for a very short period of time, meaning it isn’t having to work very hard and gets a rest in between each rep.
To stimulate the maximum growth, especially when lifting higher volume, you want to try and keep tension in the muscle at all times. Think about squeezing the muscle on the way up AND on the way down – just squeeze it slightly less hard on the way down (called the eccentric portion of the lift) to lower the weight in a slow, controlled manner. When you get to the bottom of the rep, make sure you don’t release tension on the muscle when switching between lowering and lifting the weight – letting the muscle go slack is very easy to do but should be avoided. Tip: Have a spotter watch or feel the muscle you’re trying to contract – they’ll easily be able to tell if you’re letting it go slack. So now you’re probably thinking – great, so I know this stuff is awesome for building muscle and avoiding injury, but how do I incorporate it into my workouts? Put some plates on the leg press machine and get seated comfortably with your legs about shoulder width apart. Push the footplate away from you and remove the safety stop from the machine. This is your starting position. Lower the footplate slowly (for 8 seconds) into a deep leg press, keeping the weight on your heels and tension in your quads. When you reach the bottom, drive up through your heels, lifting the weight relatively slowly for 5 seconds back to the top. When you reach the top immediately lower back down again for the second rep – don’t lock your legs out or take a rest. Repeat to failure. For each and every set, keep your elbows locked to your sides and raise the dumbbells slowly into a supinated curl (pinky pointing over your shoulder at the top) before lowering them back to the start (4 seconds up and 4 seconds down). DO NOT release the tension in your biceps muscles at any point during the set (avoid fully-straightening your arms at the bottom as this will release the tension). Try to complete all the reps in each set without taking a break and whilst squeezing the biceps hard throughout – this is TOUGH. Remember: it’s mind over matter as the weights will be very small comparatively! If you fail take a short break (less than 5 seconds), take some deep breaths, and continue. Give these tempo and tension workouts a go and let us know what you think via Twitter.